Sometimes pleasure leads to pain, like a barbeque gone wrong – or fiery. JustAnswer gets a lot of burn-related questions. The range of the types of burns may surprise you. Dealing with a burn is never much fun. Different people tend to celebrate different events, but no one ever jumped up and down in joy after discovering a new burning sensation. And although they typically aren’t enjoyable, there can be quite a bit of variety in the types of burns people may encounter. And this isn’t about degrees – although the severity of a burn is an important factor when you’re looking for ideal treatments. What we’re looking at here are some very distinctive ways people have gotten themselves burned. At JustAnswer we’ve encountered a wide range of of burn-related questions, and by looking at the most visited pages over the course of a year, we can see those inquiries that have attracted the most interest. Three of these burning questions in particular stand out from the pack, as well as from each other due to the vastly different situations involved. Still, they all have one very notable element in common. For each of them, the Experts had the answers. Some of the most common types of burns are those caused by hot liquids and objects. These include exposure to steam, accidents when trying to build fires, and even the inhalation of too much smoke. Of course, burns can stem from any number of sources, including some that you might not expect. I just burned my upper lip and a little above it (in the skin area) on pizza that came out of oven, baked at 450 degrees. What should I do? First and foremost, this burning question showcases an important lesson for all of us. Sometimes we’re in too much of a hurry, and the prospect of a cheesy slice straight out of the oven can make impatience even harder to resist. That being said, a burn on your lips is a great reminder to take things slower in the future! Ordinary tasks like taking a shower and washing your hair don’t usually carry much significance, but an everyday undertaking can become an exercise in pain if you aren’t careful to protect your eyes. 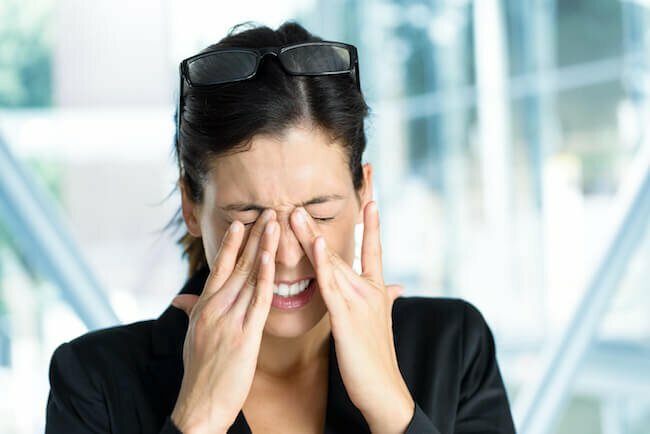 Soaps, shampoos and conditioners can cause quite a sting once they invade your eyes, but in most cases the discomfort should subside quickly as you flush them out. Eye pain that persists can be a debilitating and disheartening condition. Unfortunately, this isn’t always the case, as is evidenced by the most visited burn question on JustAnswer. This inquiry, which accounted for nearly 15% of all the views, shows us a customer who was concerned about their situation after getting a different type of hair product in their eyes. I just got hair dye in my eye. It burned but I flushed it with water of about a total of 10 minutes. My eye is very very red and swollen. Should I do more? Burning skin? Check. Burning eyes? Check. Burning… money?! Some burns afflict our skin, or our eyes… and others go even deeper. Some types of burns can even make you fear for the safety of your finances! Money does get burned sometimes, like in a movie or a television show for dramatic effect. But it doesn’t always happen on purpose – especially when it comes to real life, where no one with a typical income will ever choose drama over having some extra cash. 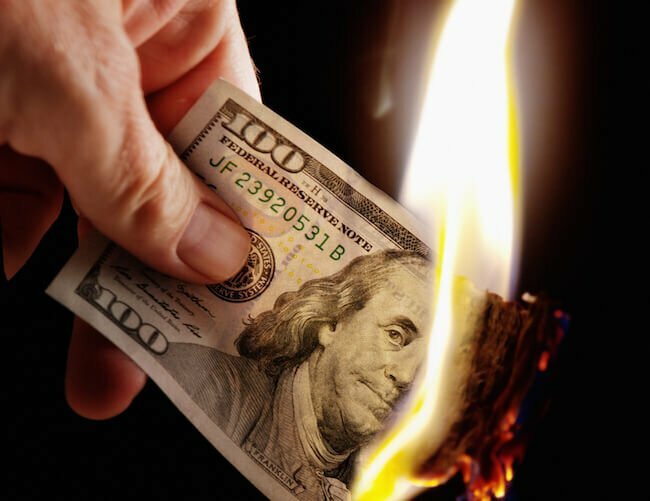 That being said, burned money is still something we can encounter from time to time, and when it does happen, it’s natural to wonder if you’re looking down at a charred heap of worthless paper… or if there’s still value in those scorched notes. Can a bank replace money that was accidently burned, but still has its serial #'s on it? It’s something many of us have wondered at one point or another, even if we’ve been lucky enough to keep our wallets away from stray wildfires. It also applies when a $10 bill that has seen better days reaches a point where it’s held together by tape, or become so deteriorated it’s barely even legible anymore. So are these busted up bills still worth something? The responding Expert had some good news, as he explained that although badly mutilated bills (defined as those that are not clearly more than half of the original currency note) require special handling and examination, damaged money can be redeemed at a bank. Want more information about the various types of burns you might encounter? Need help with a burning question, as soon as possible? The Experts on JustAnswer are available to help, 24 hours a day, whether the burn is in your eyes, on your skin, or even in your wallet. Have you been burned in a unique and interesting way? You have our sympathy, as well as our invitation to share in the comments below!